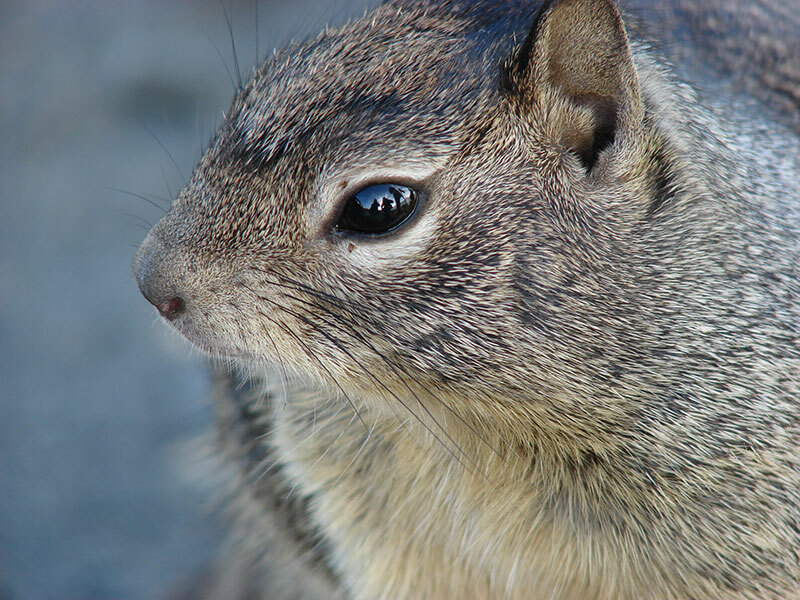 A California Ground Squirrel (Otospermophilus beecheyi) photographed just outside the BFS field house. ©Paul Stapp. The identification of the new bat species is due to the work of Professor Paul Stapp and undergraduate research student Lauren Dorough, Cal State Fullerton, who have been monitoring bat activity at pHake Lake as part of a broader study of the activity and relative abundance of bats in the eastern San Gabriel Valley. 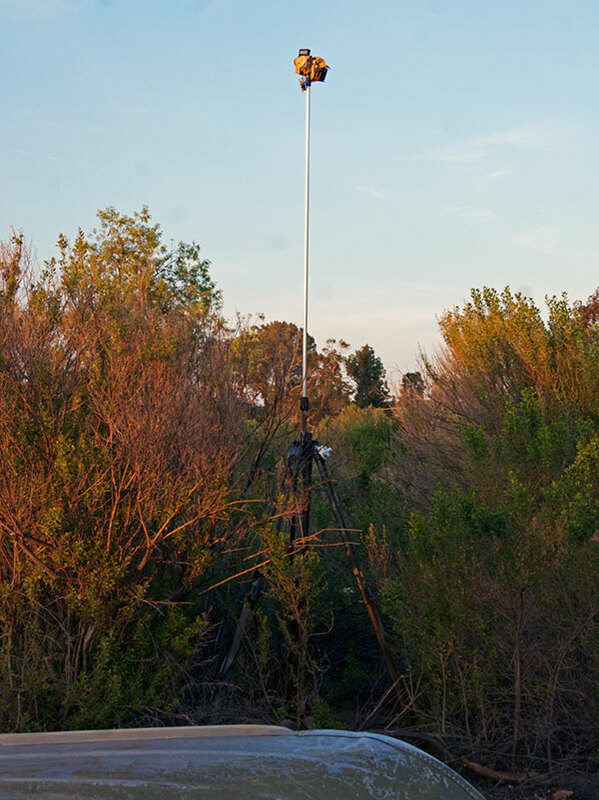 About twice a month they deploy passive, ultrasonic bat detectors at the pHake Lake boat landing area overnight. 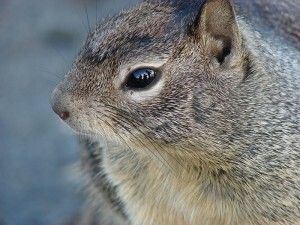 Calls are digitally recorded and then analyzed with computer software to identify species and the number of calls. 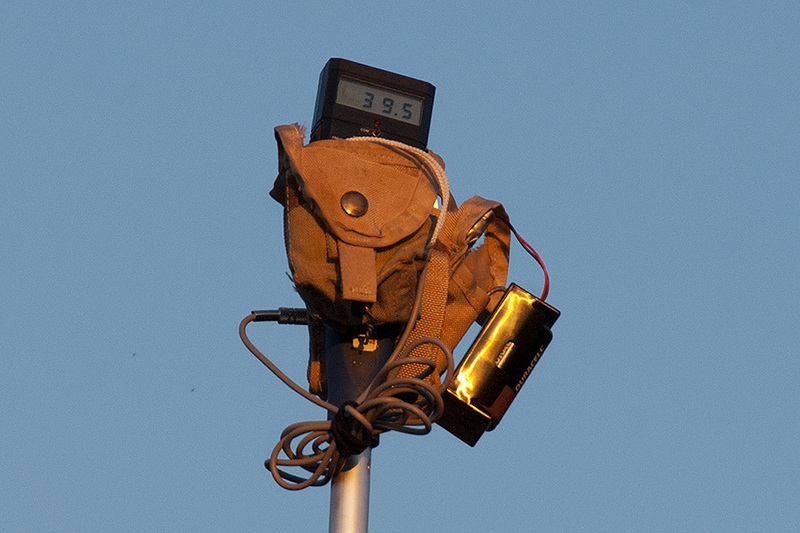 The bat detector deployed at the pHake Lake boat landing at sunset. ©Nancy Hamlett. Close-up view of the recording equipment. ©Nancy Hamlett. One BFS mammal has also undergone a name change – again, a bat. Pipistrellus hesperus (Western Pipistrelle) is now Parastrellus hesperus (Canyon Bat). 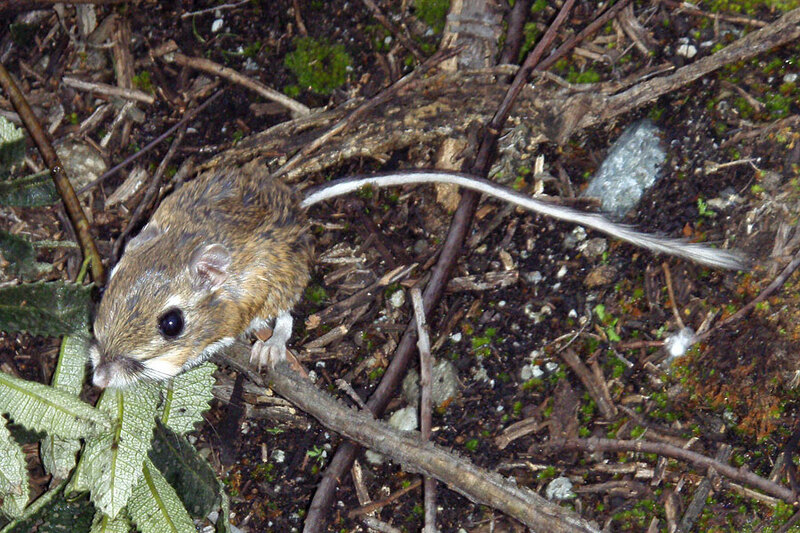 Besides the additions and name change, we’ve added more specificity to the sighting sources where known, and we’ve added a number a new photos, e.g., this Pacific Kanagroo Rat, which are linked to the list. Check them out! A Pacific Kangaroo Rat (Dipodomys agilis) photographed in the southwestern part of the BFS. ©Paul Stapp.